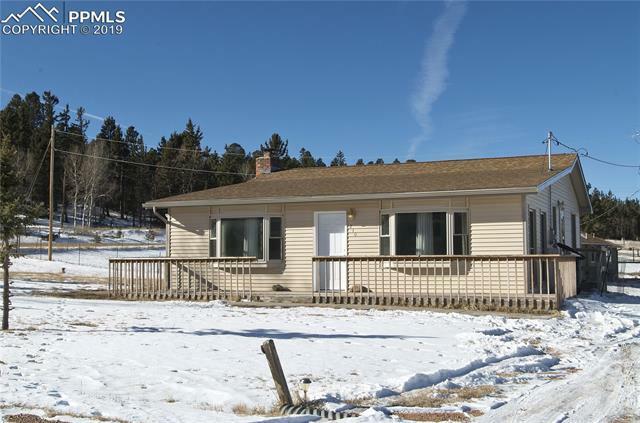 Ranch home located in Trout Haven. Out but not far out! Make this your mountain home, vacation home, or how about a B&B/ VRBO? Everything on the main level. Open kitchen & dining room, large front living room area with many possibilities. Master bedroom with attached bath. Main level laundry with door to outside fenced yard. Large 1656 sqft shop/garage is heated & insulated. The shop has 2 doors 10 x 10 and 14 x 14. Plenty of room for RV, outdoor toys, storage or maybe even potentially growing MMJ.